Fashion law is part of the reason we're here. Surely the niche is growing, but its presence has been longstanding in many areas. Fashion shows are a prime example. Are you planning to promote a fashion brand anytime soon? The tips below are critical considerations to get you started. 1. Check your promoter. Know your cause. In theory, anyone can produce a fashion show--but a reputable one is another story. With so many promotional groups and social organizations, doing some checking on the entities you plan to work with is a quick and easy way to avoid problems later. In the music industry most notably, artists often provide "riders". These documents go along with the performance contract and include special requests of the performer. 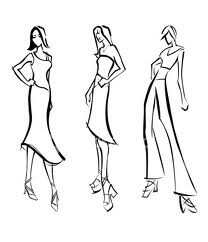 Models may have these for fashion shows, as well as any other talent which might appear. Read these carefully--you could be up for some pretty interesting demands. 3. Is your show insured? Insurance is so important. You never know what could happen on a runway or in a dressing room during a change. Having insurance for the venue at a minimum, and the event depending on its size, is critical. Many insurance companies have agents who specialize in entertainment. This call is totally worth it. Whether you're using music, photos, or just clothes, you need to make sure you have all the appropriate licenses and permissions to use everything you plan. An infringement suit is the last thing you need when trying to share style with the crowd. Having legal counsel near is definitely important here. The size of your show may determine how technology will impact it. Though larger shows may end up on television, even small shows can be recorded via small camcorders or cell phones. This is absolutely a consideration for what you allow your guests to do or have when entering the showroom. These days, technology is a big reason for infringement--as photos can be taken at fashion shows, sent to designers and hitting the cutting table all within minutes! Technology can be a plus, in promoting the show and brand, but it can also be a curse. Be sure you are careful about how it can impact your production. Of course there are other matters to consider, but these are a few key points to get you started.